For many marketing executives, Google Analytics is still a complex tool. That’s why the forums and Internet communities are full of basic questions. If you want to optimize your campaigns and business, you need to understand how your web analytics tool works and the metrics that come from it. After working at Google as a Google Analytics Specialist and providing training sessions to companies in various sectors, I believe that there is still a lack of knowledge as to how the tool actually works. Google Analytics is more than a collection of reports. Many marketing executives or web analysts still do not understand how the information is captured, how GA is configured to get correct data, how GA is unified with other platforms, or how that data is exported for maximum performance. .. If you work in marketing, design, development or UX, sooner or later you have to understand the tool. What do you expect to master Google Analytics? 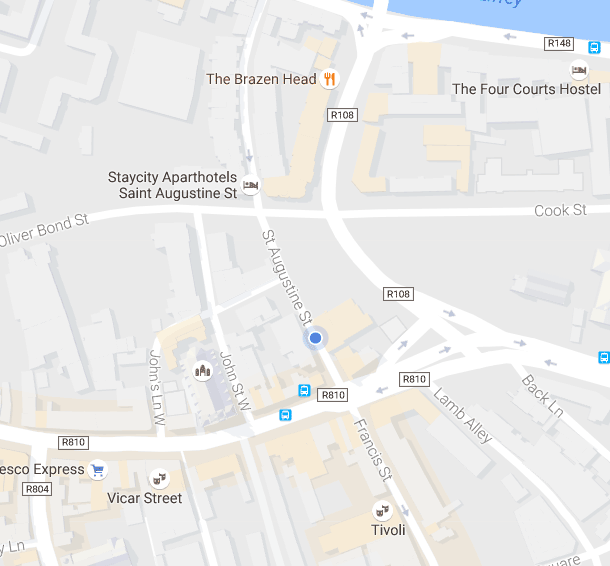 Access to your trainer after the course for specific queries. Understanding Web analytics is an almost obligatory skill for those working in digital marketing, but any member of any team will benefit from learning about your company’s data collection. To optimize a website it is necessary that everyone working on your site is able to use and analyze data to propose actions for improvement. Professional marketers or agency executives who want to understand more about GA. Responsible for installation and implementation of Google Analytics. Design inspiration from data-driven insights. In general, anyone who wants to improve their website and marketing campaigns. A solid understanding of the dimensions and metrics. Understanding the need for setup and implementation plans. Master key statistics and reporting options in Google Analytics. Ability to export your data to other analysis tools. Use the knowledge gained to optimize and make recommendations. My courses are entirely practical and adapted to the needs of your company. Since Google Analytics is not a simple tool, I generally recommend around 24 hours of training, a minimum of 3 days to cover all angles: from the measurement plan, to data collection, up to analysis and optimization. Export data via API or third-party tools. 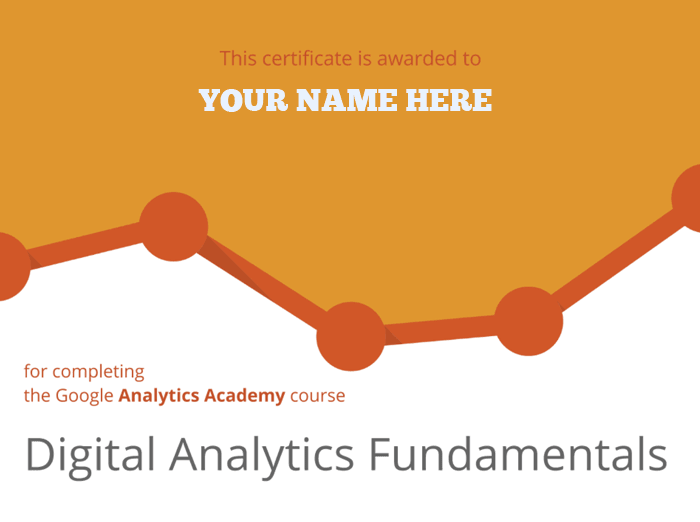 Are you ready to master Google Analytics? Made of Analytics courses for companies and groups provide a solid training based on more than 10 years of experience working with the tool. 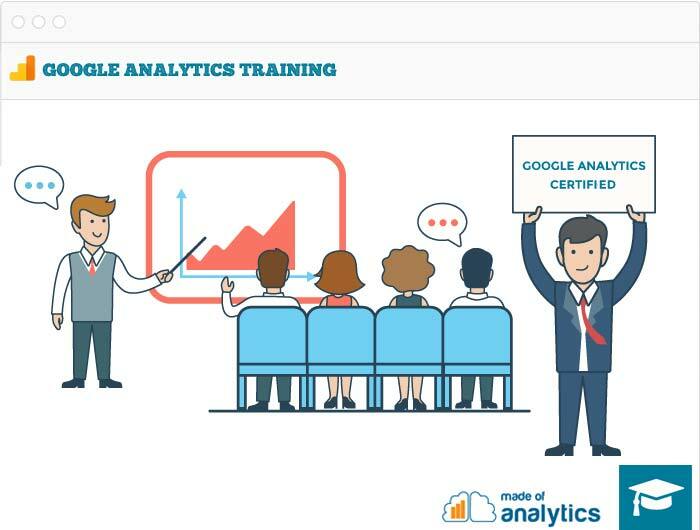 The courses will also prepare you to obtain the official Google Analytics certification and to pass the exam with top marks. Do not hesitate to contact me if you have any questions.